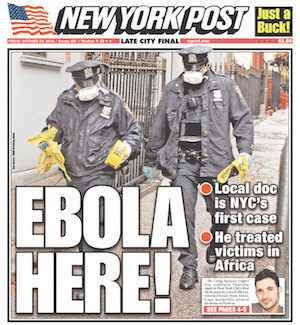 A doctor in New York has Ebola, which would seem like open season for The New York Post and The New York Daily News. But take a look at their front pages this morning — there’s not much fear-mongering! In fact, you could say the tabloids exercised some restraint. 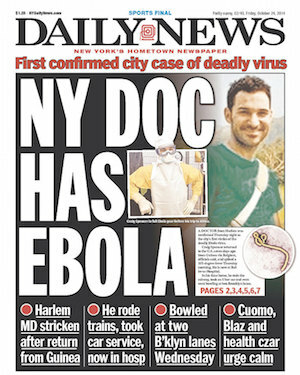 At least the the Daily News made sure to note that the doctor had used the trains and went bowling. That should get at least a few people unnecessarily worried. But c’mon! The papers missed a great chance to scare the hell out of New Yorkers. Really, the fact that the Post and Daily News covers are so tame might be the scariest thing of all.